The School of Analytics & Technology teaches our people how to use data-driven insights to better understand our customers, drive future performance, improve the way we manage our people, and bring new value to our strategic partners. Revealing the potential of analytics, PROMOTE teaches participants how to advocate for data-driven solutions, while demystifying the truth behind analytics and technology disruptions. Insightful and interesting, EMBRACE teaches team leaders how to leverage analytics and technology to simplify analytical complexities and support a digital transformation. We want to EMPOWER our people with the knowledge and tools they need to support their work and our ambitious plans. To do this, we teach them how to ‘speak data’ and turn data-driven results into actions. 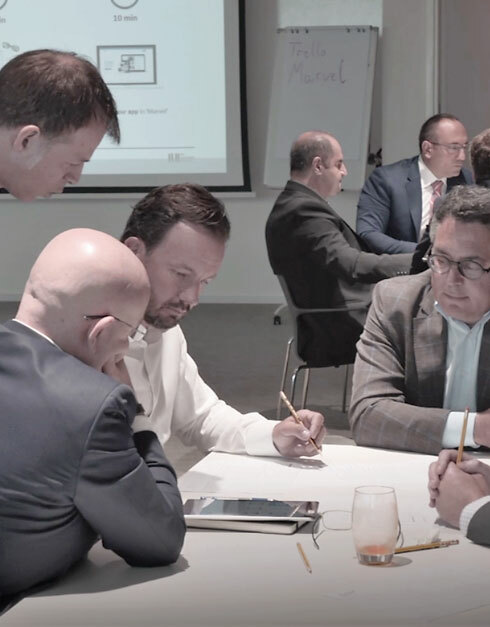 To embark on a truly transformative journey, our experts need to be able to easily and effectively collaborate and communicate to CONVEY their insights with the business and its people. Our people at the frontline of our business are vital to our success. EXCITE exposes the importance of data, best-practice in data collection, and the role that data and technology plays in our business transformation.